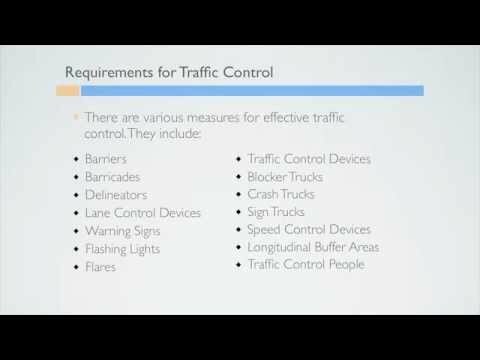 This online Traffic Control Persons for Construction course explains the techniques, equipment, and legal requirements for traffic control persons in a construction environment. It explains the importance of wearing the proper protective equipment, how to effectively control traffic in a variety of construction scenarios, and lays out general safety and legal requirements. TRAFFIC CONTROL PERSONS FOR CONSTRUCTION ONLINE ASSESSMENT: Knowledge testing is conducted throughout the course. Test questions are designed to reinforce the information presented and must be completed by each participant. A mark of 80% must be achieved in order to receive a certificate of completion. Each participant is allowed to repeat the course twice if the course pass mark has not been achieved on the first attempt. TRAFFIC CONTROL PERSONS FOR CONSTRUCTION ONLINE CERTIFICATE OF COMPLETION: Participants who successfully pass the course will be able to download and print an online certificate of completion.